'Bachelor in Paradise' spoilers: Which couples split and who didn't? -- Plus remaining episodes details revealed!! Bachelor in Paradise spoilers reveal which Season 4 couples will make it and which pairs will split by the end of their attempt to find love on the ABC reality dating show. 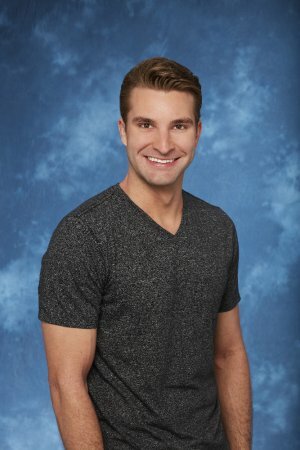 Bachelor in Paradise cast members Kristina Schulman and Ben Zorn quit the season while newcomers Blake Elarbee and Fred Johnson each failed to receive a rose from a bachelorette during Monday night's Season 4 broadcast on ABC. 'Bachelor in Paradise' spoilers: Who split? Which couples lasted to the end? Who's still to arrive? Bachelor in Paradise spoilers reveal the fourth season's ending for viewers that can't wait for the Season 4 finale to air on ABC next week. 'Bachelor in Paradise' spoilers: ABC releases details of next episodes -- Find out what happens! Bachelor in Paradise spoilers for the two Season 4 episodes airing next week have been released by ABC. 'Bachelor in Paradise' spoilers: Which couples made it? Who split? Who still hasn't arrived?? Bachelor in Paradise spoilers reveal the ending of the fourth season for fans who can't wait a couple of more weeks for the season's finale to air on ABC later this month.